Is there such a thing as “Potluck Anxiety”? Because I get it! I am a nervous wreck when someone tells me to bring a dish. “Whatever your favorite dish is.” AHH! So when I was invited to a friend’s Thanksgiving dinner this year, I was thrilled to know she would direct me on my chosen food to bring. Thank You. But then there was the curve-ball. She asked me to bring ingredients for a holiday cocktail too. I scoured the earth (ok… Instagram) for something that sounded just right, because I hadn’t the time or energy to create something brand spanking new myself. I needed something not too over the top and not too classic and simple… but something with the essence of fall and hearty good flavor. Thank you Apartment Bartender for featuring this tasty fall recipe. I whipped it up myself, served it to all her guests, and enjoyed the hell out of it. If you need a quick and approachable recipe this holiday season, I have a winner right here for you! Cheers. 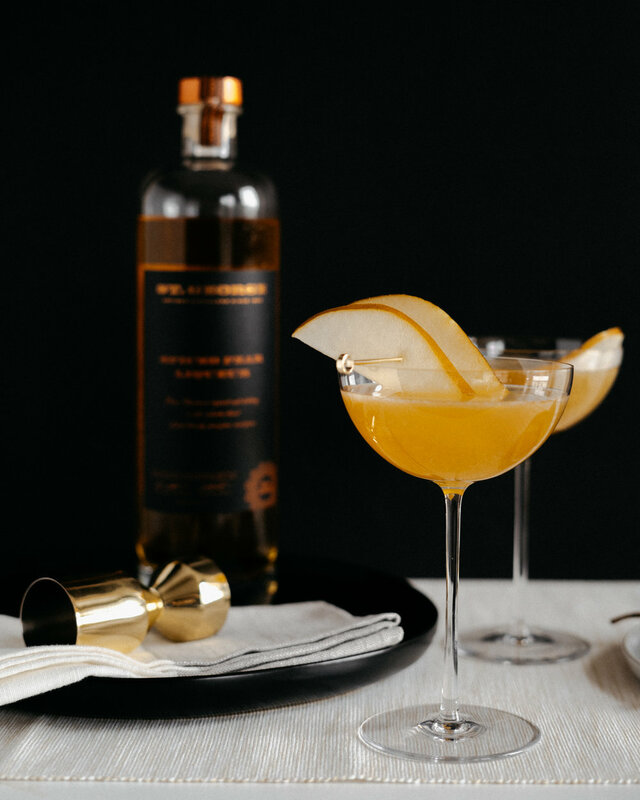 Mix the Cocktail: Combine the ingredients into a cocktail shaker and fill with ice. Shake for 10 seconds to chill the cocktail. Strain the Cocktail: Strain the cocktail into a coupe glass. 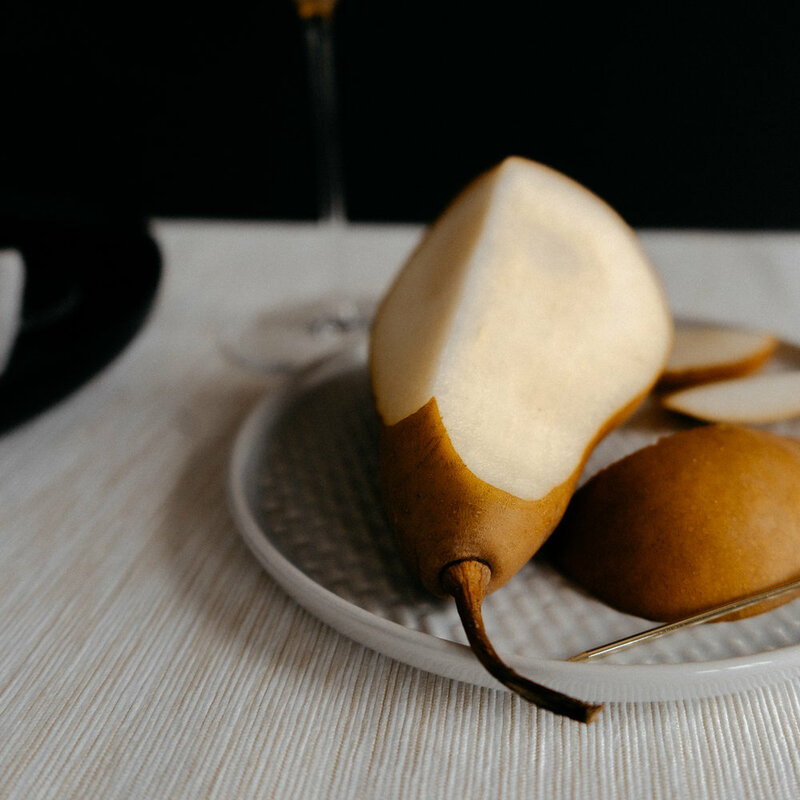 Garnish the Cocktail: Slice up a fresh pear and either slip it into the glass or use a cocktail pick to float them above. Not quite right? Check out these cocktails and recipes!